Lack of proper insulation is one of the main causes of wasted energy in a home. 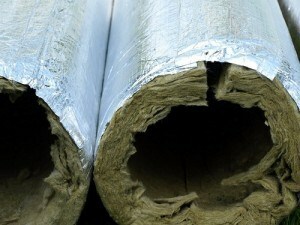 Insulation makes sure the hot or cool air stays inside the house instead of leaking out. The less insulation, the more heating or air conditioning units have to run to keep a home at a comfortable temperature, and the more money wasted on electricity. Insulation typically is found in attics, crawl spaces, floors, walls, and ceilings. Insulation is measured in R-values, which basically stand for how powerful the insulation is. The larger the R-value, the more effective the insulation. There are different recommended R-values for each area, so using a calculator such as this one can help you determine yours. There are four main types of insulation: rolls and batts/blankets, loose-fill, foam-in-place, and rigid foam. For a better description of each and where to use them, a great guide can be found here. More dense insulation should be used in ceilings and exterior walls. For the best long-term savings, add insulation to your attic. Attic insulation between R-30 and R-60 is recommended for most homes in the United States. Be careful when installing insulation next to light fixtures; unless they are marked “IC” for insulation contact, it is best to contact an expert. Making sure you have fresh and stable caulking is another essential step to insulating your home. Caulk is a sealant that insulates and also helps keep moisture and mold away. Caulking helps prevent leaks and keep energy costs down. Caulk should be checked at least once a year and replaced if needed. Caulk should be placed over any gaps, cracks, and locations where different objects are joined, such as where a tub meets a shower floor or a window meets a wall. Just like insulation, there are different types of caulks made for specific surfaces. 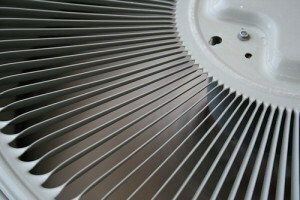 It’s no secret that cranking up the heating or air conditioning cranks up the electric bill. Keep your thermostat to where you feel comfortable, but try not to overdo it. Turning on a fan or using an energy efficient space heater might be better options. Heartwood Mills recommends an in-floor heating system. Thermostat timers are also an excellent way to reduce heat usage both at night and when you’re away. New “learning thermostats”, like Nest, can help you be even more efficient. They learn your habits and automatically adjust settings without your intervention. Keeping blinds and drapes closed through the day in the summer months helps keep out extra heat, while opening them in winter can invite in warmth. In the summer, opening windows at night can help bring in cool air. If you don’t have to heat or cool specific rooms or areas of your home, don’t. Close the vents and shut the doors. You even can use draft stoppers on doors and windows for extra insulation. When it comes time to replace a washing machine, microwave, television, or any other home appliance, look for the Energy Star label. Energy Star appliances use less energy and have less carbon emissions that appliances without the label. For example, newer front loading washing machines typically use a lot less water than standard top loading washers. If you find you need a dehumidifier, there are other methods besides running an appliance that tend to work pretty well. Hanging up a bundle of chalk can help keep away moisture, especially in enclosed spaces such as closets. There also are hanging dehumidifier bags that absorb moisture from the air. Unplug appliances like blenders or lamps in your guest bedroom when not in use. These items still use power even when they’re not turned on. Keep chargers and not-often-used items, such as computer printers, on a power strip. With a power strip you can easily flip off the switch when the items aren’t needed. You’ve heard it a million times but we’ll repeat it anyway – turn off lights when not in use. Instead of turning on a large overhead light (or every light) in a room, switch on a smaller lamp if that is all the lighting you really need. You also could simply light a candle! For lamps and light fixtures that are in use quite often, install CFL or LED bulbs instead of incandescent. They are a lot more energy efficient and tend to last longer than incandescent bulbs. 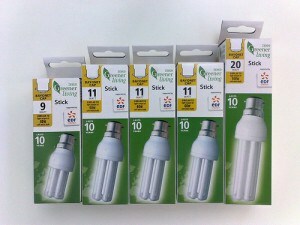 In fact, a lot of energy efficient bulbs tend to pay for themselves over time. When the bulbs do burn out, lots of hardware and appliance stores have places to recycle them. Helpful Calculators If you have a home office or even office items, such as computers and printers, it can be helpful to calculate the energy used by these devices. This office energy calculator can help you estimate the amount of energy used per year when devices are left on standby when not in use. The EPA offers a household carbon footprint calculator. After calculation, options are given for reducing your household emissions and estimated savings also are offered. This paper calculator, provided by the Environmental Paper Network, allows you to compute the environmental impact of your paper choices and explore different options for paper usage. You can enjoy a comfortable log home while still being kind to the environment. These tips are a good starting place to minimize your impact on the planet.